Jurgen van der Meer is currently the Chief Financial Officer for Aruba Trading Company N.V., one of Aruba’s most prestigious and oldest family owned trading companies. Previously he held the position of Director of Finance for the Balashi brewery and worked at Visser Holding as financial group controller. After graduating from the Vrije Universiteit Amsterdam he started his financial career at AMC Unicon Aruba in 1996 where he got to know Bert Vermaas while working together on projects with Grote Beer and later Exact® software. We cherish this partnership that has certainly contributed to the overall result of our success in our software development, our portfolio of international clients and we thank VCC for their support and advice. We are extremely satisfied with EXACT®. Our administration has increased a lot over the years and still not all features of the program are fully exploited. This software package has fit the growth and the needs of Romar Trading perfectly and together with the knowledge of Bert Vermaas and his team of experts, we have transformed Romar Trading into a real trading company. 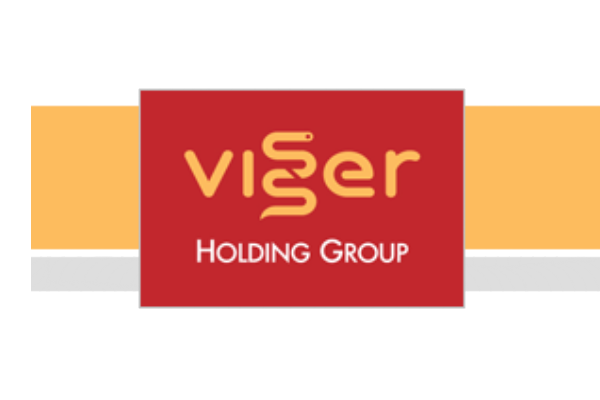 Visser Trading Aruba (VTA) is one of the biggest pharmacies on Aruba with 6 branches spread out over the island. Besides medication they sell drugstore goods, medical instruments and medical aids. Since some time VTA is a member of Mediq, the biggest Dutch pharmaceutical organization. Hans Mondria started in 2012 as a manager at Visser and shares his experiences with VCC International NV. Chief Communication & Social Media at Instituto Biba Saludabel y Activo IBiSA & Health Dept. I have worked with Bert Vermaas for the past four years in my capacity as Exact Project Manager for Heineken Caribbean. During that time Bert has been a key consultant in the rollout of the Exact Globe ERP package to our operating companies providing Exact consultancy services as well as report building. Bert is probably the only IT support provider in Aruba with real extensive knowledge of accounting systems and other software. Very bright, very fast and most of all very reliable. He will never let his clients down and can help with the whole scala of IT issues. Bert is very driven, skilled and motivated person. An excellent partner in implementing any solution within an organization. Chief Financial Officer at Frasa International Trading N.V. Since 1996 I have hired Bert for several large ERP projects from: implementations from scratch till complicated data conversions, data integration projects, upgrades and other various projects. In all of these projects he has shown to be committed, creative and especially he gets things done. His expertise in ERP/IT and accounting makes him a very strong business partner. It is a pleasure of doing business with Bert. Bert brings a lot of knowledge to the table and has shown to be a very strong team player for defining the companies ERP future and being able to help these companies I have worked for to the next ERP level. His reporting/query skills are phenomenal. I can definitely recommend his services to you as he always comes up with a solution to solve problems. Bert is a very knowledgeable person who will go to the end to satisfy his customers. Founder & CEO of Memocom B.V.
Bert is honoust, fair, down to earth and fun to be with. You can rely on him and his statements and although he lived on "one happy island" for most of his professional life, he has maintained his no nonsense mentality which is so typical for people from Rotterdam. His "rolled up sleeves" are combined with a practical technical knowledge and a good business sense which make a great combination for his business partners and customers. I know Bert since 1993 and he has been our external IT consultant since that time. We have done various important projects together, always with great dedication, expertise and commitment from his side. He's not an 8-5 IT consultant and has high service level standards. I can recommend his services to you as he always comes up with a solution to solve problems. I have known Bert Vermaas since 2002 during the Exact implementation at Heineken Aruba, and have also worked closely with Bert on serveral regional IT implementations for Heineken in the region. Bert has played an instrumental role in these projects and his expertise and knowledge in the field of ERP, sales & distribution software, and Crystal reports is impressive. Furthermore Bert is a very enjoyable person to work with, has an open mind and goes the extra mile when needed. His company delivers excellent IT ERP products and services, and I highly recommend Bert for any company that want to maximize their IT/ERP output and create efficiencies in their company. Bert always provided service to the max. Going above and beyond to achieve customer satisfaction. Providing answers to questions, solutions to issues, thinking ahead, anticipating on future possibilities and 'reading' the customer exceptionally well. He is an expert in a wide variety of IT skills, and 'custom-makes' solutions for businesses. I loved working with Bert and will seek to do so in the future! Bert is a very dedicated person. He's hardworking, committed and responsible. He's is a great person to work with and most all all never let's you down. I have worked with Bert for many years, he is our reseller for M-Files in Aruba since the start. Bert has an open mind on business which I have really appreciated. Bert it was a pleasure working with you, keep up the good work! Bert is a highly motivated IT-Professional with tons of experience! As an intern, working with him at AMC-Unicon was very educational for me. He taught me a lot and I think he is the perfect example of how a consultant should work for his clients: very dedicated, hands-on and extremely motivated are terms that would describe Bert. Bert has been my senior colleague at AS Aruba for 2 and a half years and I must admit I learned a lot! Most customers of As Aruba know Bert as a service minded, dedicated and hardworking consultant and owner with a lot of knowledge of ERP software. I therefore recommend Bert and AS Aruba to anyone who is looking for a reliable and knowledgeable IT business and service partner. Bert Vermaas of AS Aruba helped us with many Exact implementations in the Caribbean. We recommend him for your Exact implementation!